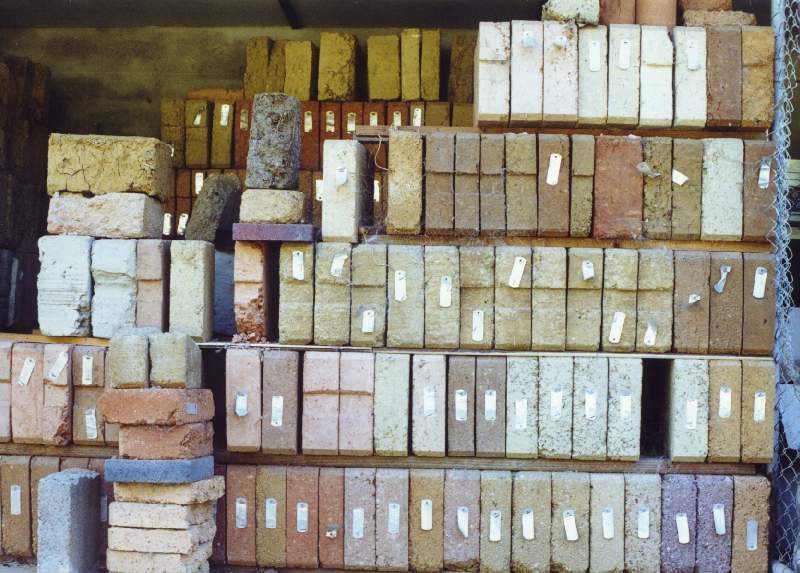 Since 1971 AMCER staff have been involved with many aspects of Earth Building including; soil selection, earth brick-making, pressed earth brick manufacture, brick testing, brick-laying and the designing and building of houses. 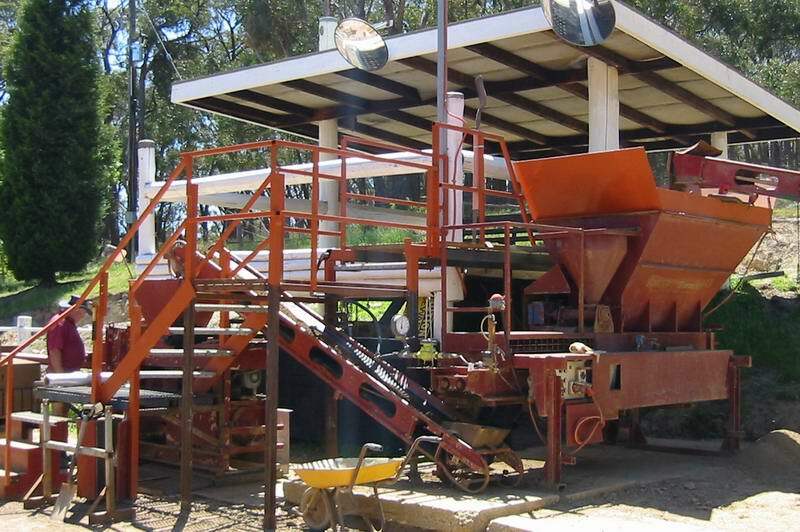 This background and experience together with the increasing interest in Earth Building led to the launching of the AMCER Pressed Earth Brick based on the Eltham soil type. 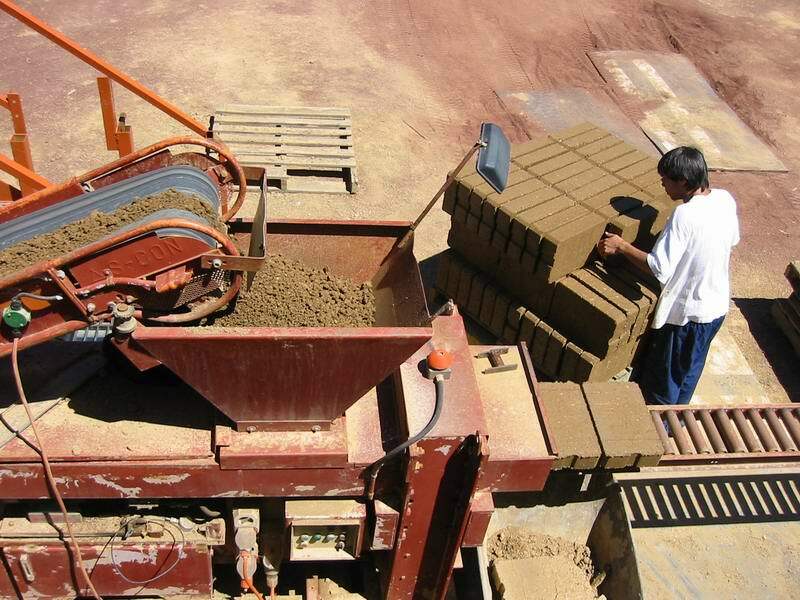 These bricks are made from blended and screened local soils, pressed at optimum moisture content and pressure to achieve a consistent, strong and durable product. AMCER maintains quality control programs and randomly test bricks at the brickworks as a means of quality assurance. AMCER bricks are 385 mm long by 85 mm high (400 x 100 layed with 15mm mortar joints), 250 mm wide which is the wall thickness. The reduced height compared to the old Eltham brick style keeps the dry weight down to around 15kgs, and requires 25 bricks per square metre of wall. The consistency in size of bricks makes it possible to use the thinner (15 mm) mortar joints which require less mortar mix, and a greater height can be reached in a day with less shrinkage or subsidence. Amcer Earth Bricks are designed to comply with metric standard door and window sizes. AMCER supplies screened soil, similar to the bricks, which is recommended for the mortar. Although AMCER bricks are generally available at short notice, it is advisable to order well ahead to eliminate delays due to seasonal fluctuations and demands. 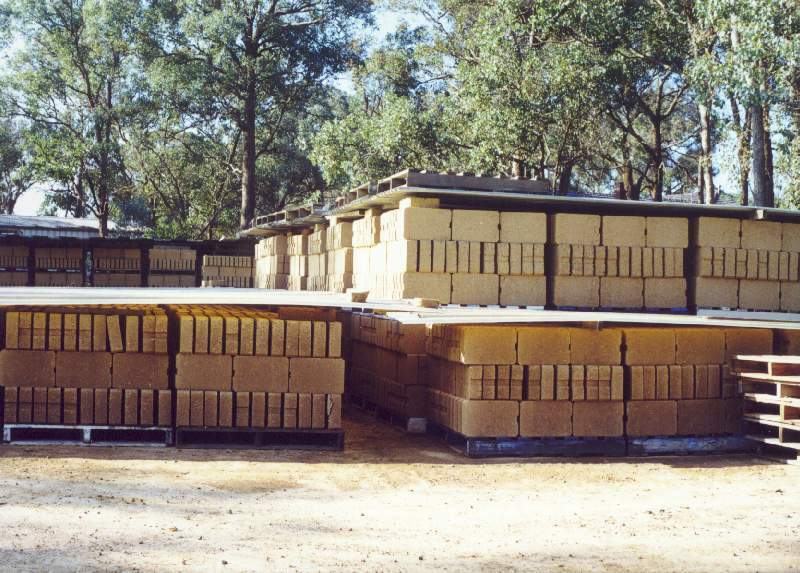 AMCER Earth Bricks are palletised and stretch wrapped, with each pallet holding 115 bricks, which are sufficient for 4.5 square metres of wall, and delivered by sub-contractors using 4WD forklifts to assist clients in placing bricks around the site.